Information to plan and request a ride-along. Inviting members of the media to participate in a ride-along is a great way to share the efforts of your organization or agency to promote boating safety. 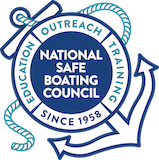 It’s an opportunity to share what’s happening at your local body of water and include important boating safety reminders such as always follow navigation rules, wear a life jacket and boat responsibly. BoatBeat provides many resources that may be helpful for state or local boating agencies to plan a ride-along, such as fact sheets, media assets, and latest BoatBeat Alerts. Members of the media interested in requesting a ride-along, please contact your state or local boating agency.